Andrew McDowell, ‘The Tie’ counterpart of the Catholic Collar and Tie blog, has written an honest account of his experiences in attending different Novus Ordo Masses in his area. His negative discoveries of a total lack of respect towards the Blessed Sacrament, plenty of banality, and an exaggerated focus on the celebrant instead of Our Lord Jesus Christ will be sadly all too familiar with the majority of Catholics. Liturgy well done can lift the mind and heart to the contemplation of God, and inspire a deeper prayer life and a more active charitable life outside of Mass. Good and clear proclamation of the word and sound preaching at Mass provide us with tools for evangelisation in our day to day life. Surely Vatican II rightly called the Holy Eucharist the ‘source and summit’ of the Christian life. Sadly, not every celebration of Mass lifts the mind and heart to God, because the priest gets in the way. Now that we no longer have daily Mass in our parish I have experienced Mass in a dozen different places with a dozen different priests (good and sincere men all of them), but I have to say I have found all but one celebration of the Novus Ordo to be irritating; some more than others, but all primarily because each celebrant seems to think his inflection and gestures are responsible for engaging the congregation in the celebration of Mass. Yet the gestures properly carried out rather than exaggerated, with a simple recitation of the words printed in the Missal would allow me to pray; the exaggerated gestures and inflected modulation demand that I hear the emphasis the celebrant wants me to hear rather the emphasis the Holy Spirit wants me to hear. So what are the things that disturb? 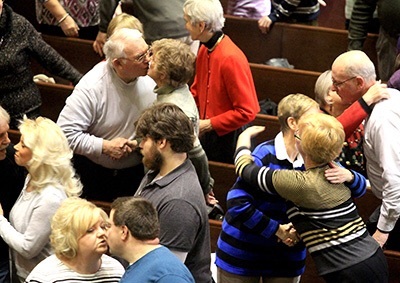 The first is that on entering the Church one is confronted by noise: our places of worship are given no more respect than meeting rooms or bingo halls. One priest defended this with, ‘Well they only see each other at Mass so they like to meet and greet’. But surely they can talk outside? We don’t pray in a club or a bingo hall; why should we chatter in a Church? Another priest’s defence was: ‘We’re a community and this is where the community meets. If I tell them to stop talking they’ll be offended and I’m not going to do that’. Permitting noise is thus more important than passing on spiritual values, reverence for the Blessed Sacrament and respect for those who wish to pray. And these are our priests? If we don’t reverence the Blessed Sacrament and respect others at prayer in Church, where are we going to respect them? Second, there are irritations during the liturgy itself, where the flouting of liturgical norms is manifold. This means I rarely (if ever) get the New Rite of Mass as the Church intends me to have it. What are some of the norms flouted? Well, I have seen the lectern (reserved for the proclamation of the Word) used as a podium for appeals, talks and even the long-forbidden eulogies at funerals; I have seen Extraordinary Ministers performing the purifications while the priest sits down; I have seen (presumably so the people don’t feel excluded) every word of the Missal being read aloud, including the priest’s private prayers (‘With humble and contrite Heart…’; ‘Lord wash away my iniquity…’). I have also heard the opening and closing Collects, Eucharistic Prayer, and even the words of consecration, changed. And there is more. I have seen the Sunday Gospel extended so as to include the line the celebrant wanted to preach on; I have seen the consecration ‘acted out’; the priest extending his hands and offering the gifts to the congregation rather than to the Lord as he waves them from side to side saying ‘Take this, all of you, and eat of it’ –as though Mass were a play performed for the congregation. I have seen priests leave the sanctuary to distribute Holy Communion from the front of the Church. I am told (by Fr Dickson) that this comes from ‘Incarnational Theology’, an emphasis on God coming to earth as man. But did He not come so as to die and rise again and thus draw us to Heaven? Priests leaving the sanctuary to offer the sign of peace is also very irritating: he has already offered it to the whole community at the Pax, by wandering into the congregation he singles some out for special attention –and encourages a flippant Pax wherein the congregation not only stretch over benches but cross from one side of the Church to the other to greet family and friends, thereby using the sign of peace for a purpose for which it is not intended. Meanwhile the Blessed Sacrament is ignored. It is a complete departure from the purpose of the liturgy. All in all, the clergy are trying to make us feel valued and loved, but in the process have forgotten that we come to Mass to worship God, not to be affirmed. The place for our affirmation is in our team meetings and at social occasions. Our clergy have lost sight of the core purpose of the Mass; they have turned it into a celebration of the community; a time of upliftment and affirmation of man rather than an offering to God in adoration, impetration and propitiation (GIRM #2). Truly, it is impossible to attend the Mass Paul VI gave us because each celebrant gives the texts and gestures his own emphasis and slant, with norms flouted. They may say they are loyal to, supportive of, and happy with the Novus Ordo, but are they, when they feel the need to constantly ‘improve’ upon it at their own volition? Perhaps what supporters of the Novus Ordo are happy with is the fact that they slant the liturgy to embody their favoured theological ideology. I have not mentioned the fact that Mass is always said facing the people but I won’t omit to say that this orientation means we are plagued by seeing the priest perform for us, blow his nose, fiddle with his spectacles, lose his place in the Missal and make idiosyncratic facial grimaces. Sorry Fathers, I have no doubt that each of you has a good heart and are well intentioned; but you truly are a distraction from the Lord as you stage-manage the liturgy to your own taste. 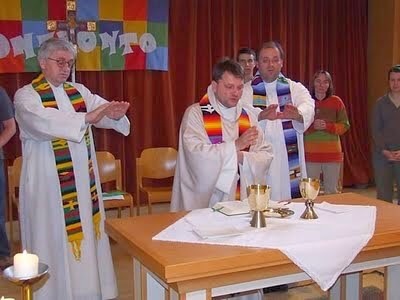 How long must we put up with such a priest-centred, man-focused liturgy? Our Bishops are allowing all of this to continue, and must therefore take responsibility for denying us the Mass as the Church gives it to us. The Bishops’ own publication, ‘Celebrating the Mass’ is ignored by all and sundry –even by the Bishops themselves who see such antics as I have described in their parish visitations and do nothing to call a halt to them. Yet should a priest celebrate Mass with Latin for the people’s parts (as Vatican II decreed; Sacrosanctum concilium #36, 116) or facing the altar from the Offertory onwards as the Missal directs (rubrics #127, 132, 133), you can be sure his Bishop will put pressure on him to make the options of the vernacular and facing the people things to be set in stone. The stone is really in the hearts of those who refuse to provide liturgy that is God-centred in order to satisfy the folk who have rejected Vatican II with its insistence upon Latin, and who have rejected the Novus Ordo’s directive to face the altar. I think we no longer have a Novus Ordo Mass but a Novus Ordo Mess. …He’s not even a teeny bit sorry. It’s all simply a matter of opinion. That’s ii. Nothing more. We all know it. He might be right – or he might be wrong. Nobody knows. God will sort it out, if He wants. If He doesn’t, He won’t. Meanwhile, better just grit our teeth and get on with it. Feelings of irritation do not matter, because the Mass is not about the subjective “feelings” of the people attending. We don’t assess the Mass in terms of how it makes us “feel”. Andrew McDowell has certainly attended these Masses with the attentive eye, and scrutinizing discernment of the true anthropologist. 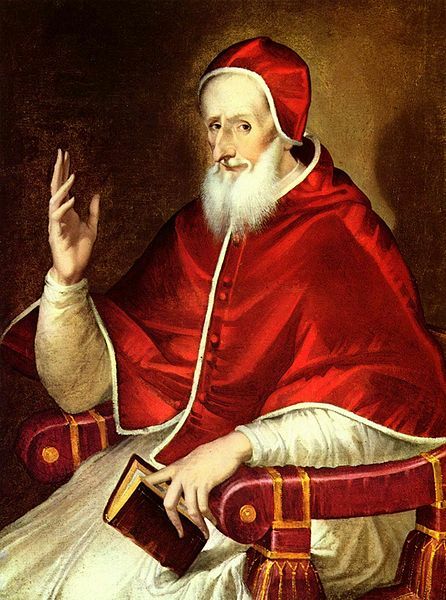 His criticisms of some of the priests he observed may well be valid. But was his attention (as a man attending Mass) directed appropriately? He cannot control the exterior actions of the priest, but his own disposition and focus is his own responsibility. I hope he attended as a worshiper, not an observer. I see your point Tom, but I can’t help sympathising with Andrew McDowell too. 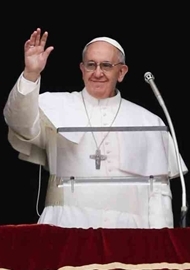 We may know in our hearts that our assistance at Holy Mass does not depend on how we feel about it – a valid Mass is always The Mass – but when one knows what the true meaning of this precious gift from God is, it is practically impossible not to feel great irritation when witnessing what a right old mess the liberals have made of it! The great Bishop Fulton J. Sheen once gave a talk on the meaning of the Mass to a group of teenagers. He said, “If you don’t get anything out of Mass, it’s because you don’t bring the right expectations to it.” So what are our “expectations”? We all know the Mass is not supposed to be entertainment (though the happy-clappy NOM liberals often give the impression that it is solely that) and nor is it the Protestant’s idea of a community celebration of a mere meal! These twisted innovative ideas that came in with that modernistic ‘spirit’ after the Council have done immense damage to the true understanding of the Holy Sacrifice of the Mass. Honestly, if you want to get a decently-celebrated, reverent NOM nowadays, there is no other alternative but to shop around for one! They vary immensely… with the very worst of them (e.g., something like the one depicted in the illustration above) probably being invalid. Then even when you find a Church where the priest does his best to make it a worthy Sacrifice, the general public still create an awful lot of noise and movement, making prayerful recollection extremely difficult. There are none of these problems with the holy Tridentine Mass. I am a more-or-less daily Mass attendee. The parish priest says the Novus Ordo Mass exactly as laid down in the Missal, no deviations, no dramatic gestures, no funny business whatsoever. Of course, the priest is one of very few Extraordinary Form celebrants in the Diocese, with a Latin Mass on a Saturday morning, and a noon parish Mass every Sunday. – twice a month a Missa Cantata. So, I am content to attend a Novus Ordo Mass with that particular priest, since he brings the reverence from the Old rite into the New. Oh, that they were all like that! I, sadly, attend OF Mass weekly celebrated by a retired priest who is, to all intents & purposes, blind. He makes up all of the prayers of the Mass but reads (in VERY large print) the words of consecration. Being a regular attendee et EF Masses I find this difficult to live with but feel that so long as the priest does nothing ridiculous then the Mass is valid. This, however, does not mean I like it! Well said, David O’Neill. Our last elderly priest-in-residence (i.e. not our pastor) was confused for the last 3 or 4 years of his time with us. Sometimes our sacristan had to approach the altar (this is at weekday Masses, mind) to turn the pages of the Sanctuary Manual for him to the right passages, but no one was upset. He was a faithful old-fashioned priest who acted with the utmost decorum as best he could. Our *new* elderly priest-in-residence is a monotonous homilist whose sermons go on 5 minutes longer than they should, but again, he does his best. No one minds, and we are thankful he is one of us, if only (but not only) because this allows our pastor some well deserved rest. Tom Fisher (04:07) here quotes Kathleen from her third paragraph (12:55) without mentioning her name or time stamp – even though her comment is several above his, and which I had to look for – thus accidentally (because TF’s response may have been composed before he posted it) falling into the same egotistical weakness JabbaPapa does who thinks peoples’ names and time stamps don’t matter when he responds to them. That (parentheses) made grammatical sense when I posted it. Until we meet again. JH, fair point. I was responding to Kathleen. And yes, I know from experience how frustrating that can be. Bad blog etiquette. My bad. Damn Canuck! To be honest I’ve quoted more obscure sources in my time, and, to my eternal shame, shown a frustrating disregard for those who would try and retrace my path through the labyrinth. I was responding to Kathleen. And yes, I know from experience how frustrating that can be. TF, JP – we are just having fun with each other – faithful Catholics together. I fondly recall my past attacks and defenses against both of you. The local priest, whose Masses I can no longer in good conscience attend for purely personal reasons, provides both a dismally sad TLM and a Novus Ordo outstanding solely for its modern banality — the number of attendees at the TLM is a bare handful, mostly retired nuns, and his NO “attracts” a good 25 or so to the Congregation. By contrast, the Latinate and reverential NO given in the principal church of the Parish always has hundreds of attendees of all ages, including dozens of children, and the Congregation has grown. To call the NO a “mess” in opposition to “the Mass” verges on the sacrilegious, and it erroneously places blame for bad liturgy on the Missal rather than on the clergy in question. And it is also wrong to suggest that the TLM can never be banal, trite, or even liturgically abusive in the wrong hands. 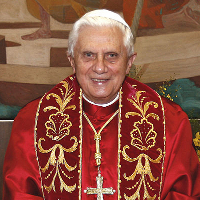 Banal and trite I’ve seen for myself ; and as for “abusive”, Pope Benedict XVI detailed some such potential abuses in Summorum Pontificum, and that’s quite apart from priests giving a TLM that fails to adhere to the rubrics or introduces novelties — as had become increasingly frequent from the 1920s onward into the 60s. As Terry says : “I am content to attend a Novus Ordo Mass with that particular priest, since he brings the reverence from the Old rite into the New. Oh, that they were all like that!” Amen. So “egotistical” now … just because I fail to adhere to a personal preference of yours. I’m writing from memory, although I’m confident that it doesn’t misrepresent Tolkien’s point. I have a copy of the letters, somewhere, but I can’t find it. * GMT “night”, that is. Well, okay Jabba, perhaps that was too sweeping a statement, but I was talking from my own personal experience and knowledge (which is what we all do). I remember the TLM from my early infancy as being nothing other than outstandingly reverent and magnificent (before it disappeared in the aftermath of V2) when it was replaced with the ‘New Mass’ that appeared so vastly different in every aspect to my young eyes. The TLM’s most welcome return in a few isolated places in the late 1990s, and more widely after BXVI’s 2007 Summorum Pontificum, with that striking aura of holiness and God-centredness that surrounds it, unveiled its sharp contrast to the noisy, more man-centred NOM. It became for me a Damascus moment of reawakening on the importance of the Liturgy in the life of the Church. I then really began to understand what older people had lamented, and realise what Catholics had been deprived of for so long. Nobody did that! You are twisting our words around. There are some abominable Liturgical abuses practiced in places that verge on the “sacrilegious”, no doubt about it, whereas others are due more to things like carelessness, too much emphasis on the community, ignorance, etc. These are what open the door to the “mess” described, not the NOM in itself. Gosh, Jabba – did you do something so awful you are ashamed to show your face there again? Andrew McDowell did — of course, I’ve accused nobody at CP&S. did you do something so awful you are ashamed to show your face there again?